Depending on where you’re staying the night before, set off early (especially if you’re visiting on the weekend!) to beat the traffic and maximise your time. When hours are limited, we always recommend getting your bearings as quickly as possible, so your first stop is San Jacinto Mountain and a ride on the Palm Springs Aerial Tramway. From the base at Mountain Station, soar to the heady heights of 8,516ft and find yourself looking over the entire Coachella Valley and beyond. With a new sense of perspective and feet firmly back on the floor, it’s time for brunch at the Kings Highway diner at the Ace Hotel & Swim Club. Originally a Denny’s, this popular spot serves up Stumptown coffee and the best scrambled eggs and merguez sausage in town. 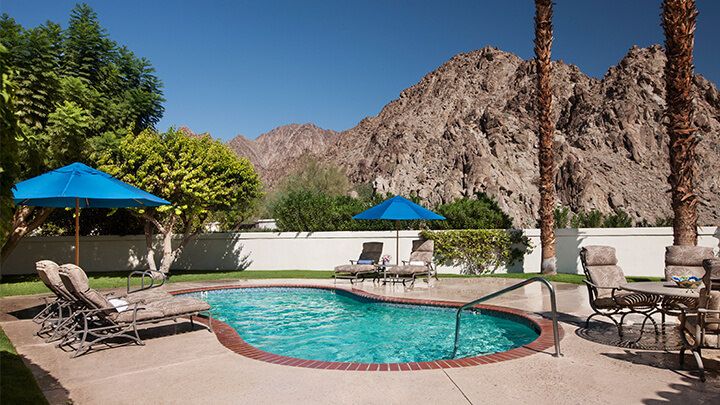 Sit in the diner or out on the patio by the pool, which depending on the day you visit, may be host to live music, inflatable flamingos and poolside dancing… welcome to Palm Springs! Fuelled up and ready to go, head downtown and enjoy a self- or group-guided tour of the most diverse collection of architectural delights we’ve ever seen so close together. Homes of the stars, creations of the wildest dreamers – you’ll find everything from stone Spanish casitas and wooden Tiki huts to mid-century mansions and art-deco abodes. Grab a famous ‘date shake’ from the Windmill Market for an afternoon pick-me-up. When it’s time to check-in, head to your chosen boutique bolthole and settle in. After an early start and busy day, it’s now time to kick back and relax. Enjoy the character of your hotel (there’s sure to be one!) and soak up the late afternoon sun, cocktail in hand. A haven for foodies and with world-renowned chefs pushing the limits of global cuisine, the choice of restaurants in which to dine is overwhelming. If a date night is on the cards, check out the gorgeously cute courtyard and zesty Middle Eastern fare at SO.PA, the outdoor dining room at L’Horizon Hotel. Palm by name, palm by nature… today it’s time to get out of town and lose yourself amidst the ancient palm groves. By bike, foot or 4X4, explore the incredible landscapes of Indian Canyon and learn about the fascinating geology and geography of the area. 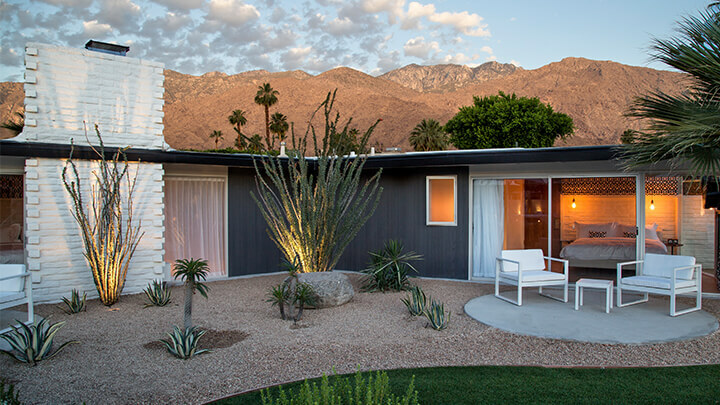 Step back in time with one of the local guides to gain a better understanding of the valley’s rich history and how the native American landowners have integrated with modern society to create the Palm Springs we know and love today. Get back in time for lunch and another afternoon by the pool. 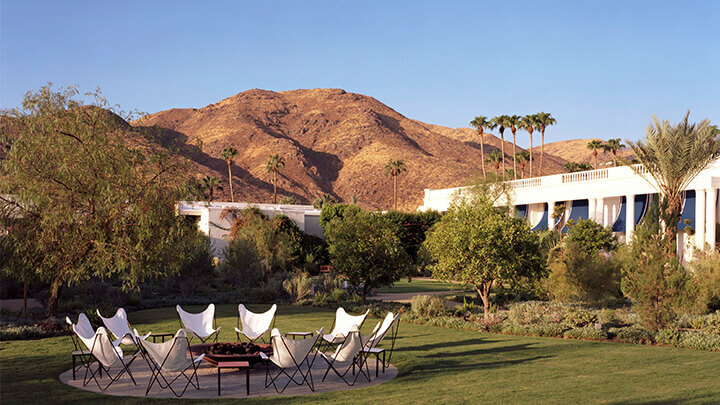 Or, if you really want to pack in the full Palm Springs punch, the golf course and/or spa beckon. La Quinta Resort & Club, one of the largest districts within the valley, is home to some of the most beautifully designed and, quite frankly, rock-star golf courses in the world. Book a mid-afternoon tee time to enjoy cooling temperatures and quieter greens, plus you’ll finish just in time for happy hour sundowners in the sure-to-be-lively clubhouse bar. If you’re more of a spa junkie, you’ll find an enormous wealth of treatment styles at your fingertips, wherever you’re staying. 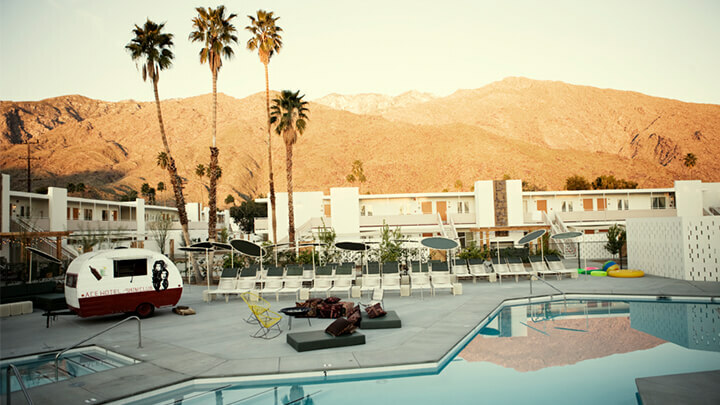 However, if you’re in search of the ultimate treat, you must check in to the Palm Springs Yacht Club at The Parker Hotel. We won’t spoil the surprise but if there’s one massage you won’t regret spending money on, it’s this one.